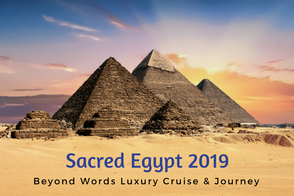 Join Sara and Dr. Steve on this trip of a lifetime to Egypt along with the publishers of Beyond Words Richard and Michele Cohn, James Twyman, Hollister Rand, Andrea Smith and other acclaimed spiritual teachers. 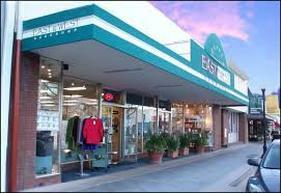 Sara will teach at the Eastrose Fellowship Sunday service, and Dr. Steve and Sara will play music. Sara will present a workshop on spiritual intuiton. Cost $30 in advance/$40 day. 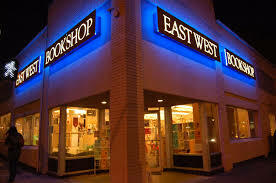 Sara will give a FREE lecture, mini concert and booksigning at East West Bookshop. Sara will be a featured speaker at the International New Age Trade Show Authors Breakfast followed by a book signing. Sara will teach and read from her new book, and Dr. Steve and Sara will play music during this FREE evening program. Sara will teach a workshop "Learn the Secret Language of the Universe" at Goddess Isis Books. Cost $25. Join Sara and Dr. Steve for a FREE lecture, book signing and mini sacred music concert. Sara will do a FREE talk and book signing of her new book, Messages from the Divine. Plus, Dr. Steve and Sara will play music. Sara will teach an intensive workshop and do a book signing of her new book, Messages from the Divine. Cost $30. Advance reservations required. Sara will give a FREE lecture, meditation and book signing of her new book, Messages from the Divine. Plus, Dr. Steve and Sara will play music. Advance reservations required. Sara and Dr. Steve will present a sacred sound healing concert. Space is limited. Travel to the Carribean with Sara, and take part in four workshops on spiritual intuition and a Sacred Concert with Dr. Steve. Sara and Dr. Steve will present a sacred sound healing concerts. Space is limited. A gift for you: Daily Divine plus a FREE ebook!